Here you can learn about the history of our breed, standards, our policies and procedures, our puppy questionaire if interested in a puppy, our reference page, and our puppy contracts. All of our dogs and puppies are UKC registered. Oh and the best part any news on past, current or future litters. 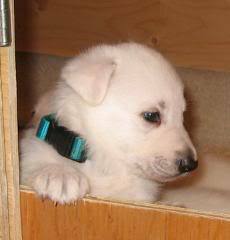 This page will give you the history of the White Swiss Shepherd and explain how it came about. 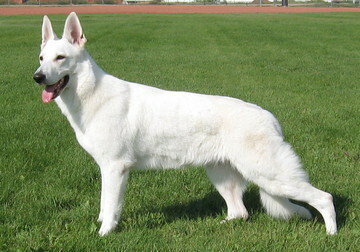 This link will take you to the FCI standard of the White Swiss Shepherds. This is the standard we go by and one of the reasons all our foundation breeding males and females we imported from outstanding FCI registered Kennels. 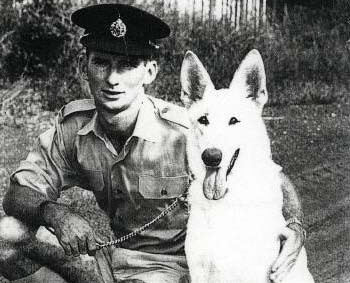 Who have produced some of the best dogs in the world. It is a PDF file so will ask your permission to open. This page will tell you about how to get started in contacting us for a puppy, how we do puppy placement, how we do updates, pricing on puppies, our shipping practices, how we name the pups, health garentees, your responsibilities, registrations, and pricing. 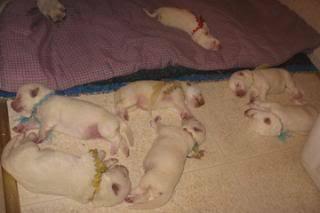 This page will take you to information about our past litters, any current litters we may have or our future plans for any litters. 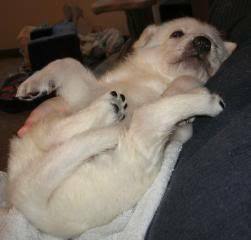 This page will take you to references written by previous adopters of our puppies. They have approved all messages posted on this page. 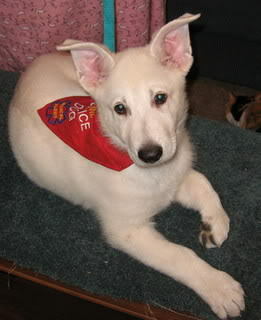 This page will take you to the information you need for applying for a donation puppy. These puppies are the one or two that we donate from each litter to someone who is disabled, to a training wanting to train a puppy to donate to someone in need or to training facilities. These puppies are temperment tested at 7 weeks as having the temperment to be a possible Service Dog Candidate.